Protect your Router - Cap Rock Telephone Cooperative, Inc.
A new piece of malware, called VPNFilter, has targeted millions of home and small business routers. The FBI is warning users to power cycle or restart their devices immediately. Over 500,000 devices have been affected, once a router is infected, the hackers can use the device as a jumping-off point to launch further attacks. They can collect personal information, block network traffic — or just turn your router into a brick. 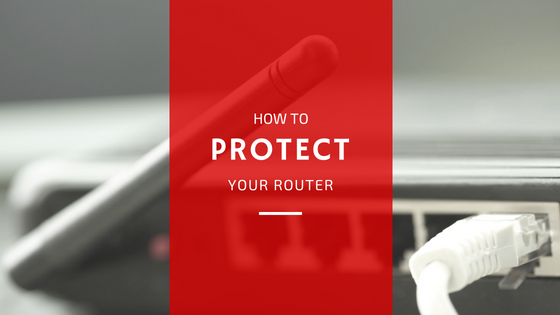 A simple restart will NOT ensure that your router doesn’t become infected. routerlogin.net to access your router’s page. Go to the Administration tab under Advanced and click the update option. From the web interface, 192.168.1.1, go to Administration -> Firmware Upgrade -> Choose the latest file that you downloaded above -> Click on Upgrade. TP-Link is model dependent. Follow the link for instructions. Once you’ve installed the appropriate upgrade for your system, you should be better protected from any potential malware. In fact, you should regularly download software updates for all of your devices, as well as the operating devices for your computer or phone.